In February of 2018, the singer released the self-reflective, stripped-down single "Break Up in the End" in a press release, he describes the track as "the perfect setup of what's to come [on the new album.]" The song was written by Jon Nite, Chase McGill and Jessie Jo Dillon -- was one he wanted to record. 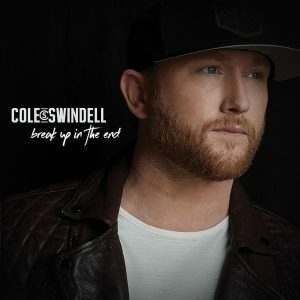 "Break Up in the End" is an acoustic guitar-based ballad that's very different from any other single Swindell has released. It's one of the most unguarded vocal performances he's ever given, though he did not write the song. Even though we break up in the end.